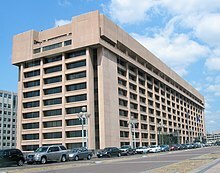 (USPS); an independent agency of the United States government (see 39 U.S.C. § 201) responsible for providing postal service in the United States. Within the United States, it is commonly referred to as the Post Office, Postal Service, or U.S. Mail. The United States Copyright Office in section 206.02(b) of the Compendium II: Copyright Office Practices holds that "Works of the U.S. Postal Service, as now constituted, are not considered U.S. Government works."